We have been given a key from the developers so expect a video from Samsai in future in one of his excellent GOL Cast videos! 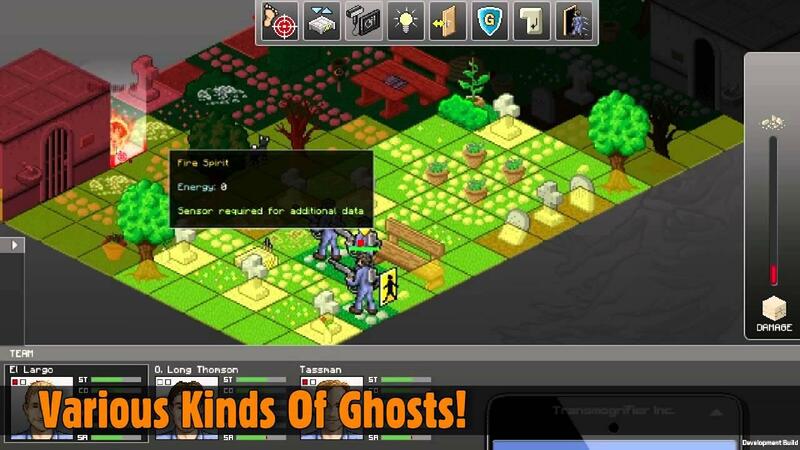 No one likes ghosts and the chance to eradicate them Ghost Busters style sounds awesome to me, especially when wrapped up in a cute little indie game. They have taken inspiration from XCOM and it does show (which isn't a bad thing) the game itself does look really fun with it's mix of cute graphics and a little comedy I will be surprised if this isn't a hit. This is another game that was Kickstarted back in July of 2013 and it was over-funded, so it's great to see more Kickstarted games flow in, I expect we will see plenty more this year. You can grab it from IndieGameStand and direct from the developer. It's actually cheaper to get it from IndieGameStand though so I would suggest getting it from there. Finally, they are looking to get onto Steam so give them a vote if you like. i backed the game on kickstarter and the first alpha was working on my gentoo 64 bit linux, but since the last two versions it sopped working. Did you succed to start it? Is it steam fro Linux? Quote from imants Is it steam fro Linux? Quote Finally, they are looking to get onto Steam so give them a vote if you like. Looks interesting, but I wish the had a demo. Has anyone tried it yet? Run it in terminal, what happens? Expect a new build tomorrow fixing Unbuntu and Gentoo 64bit issues.